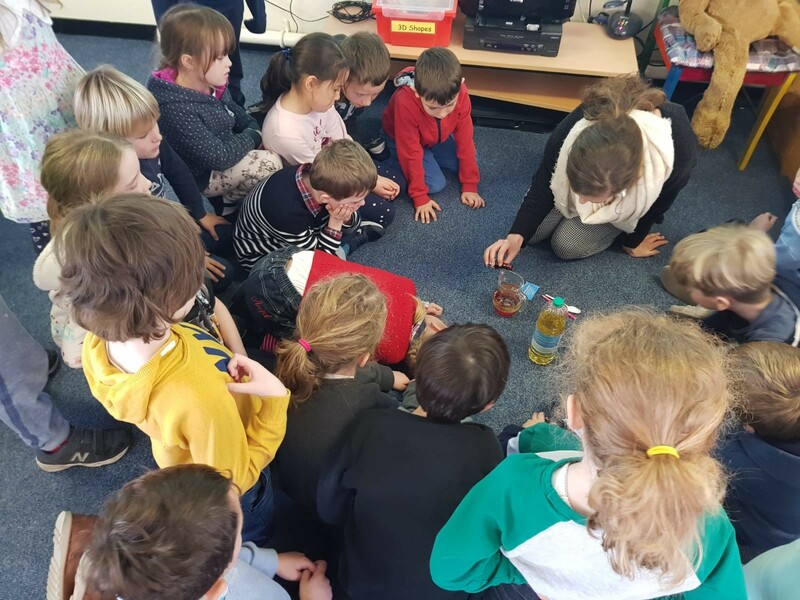 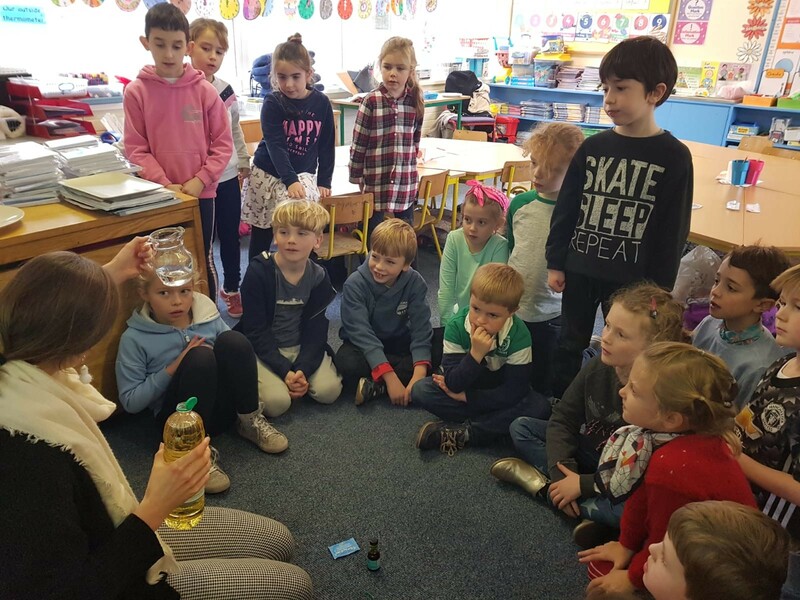 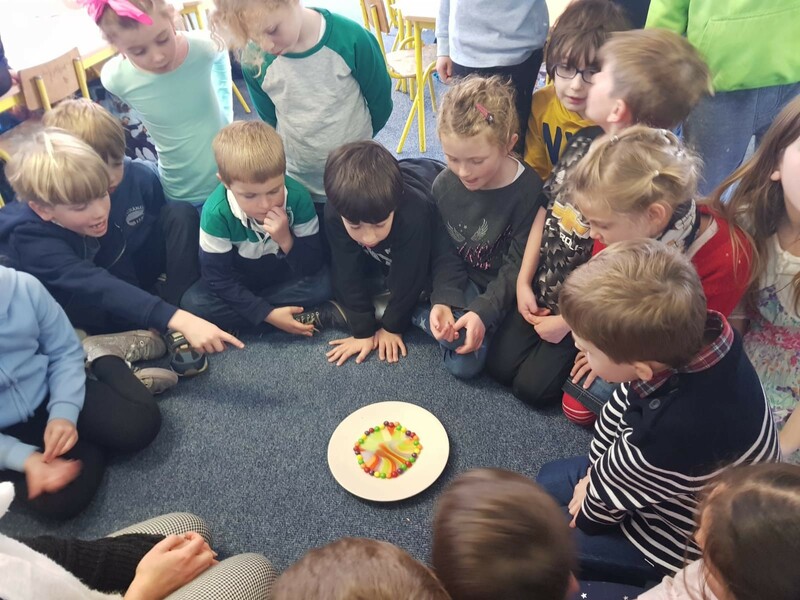 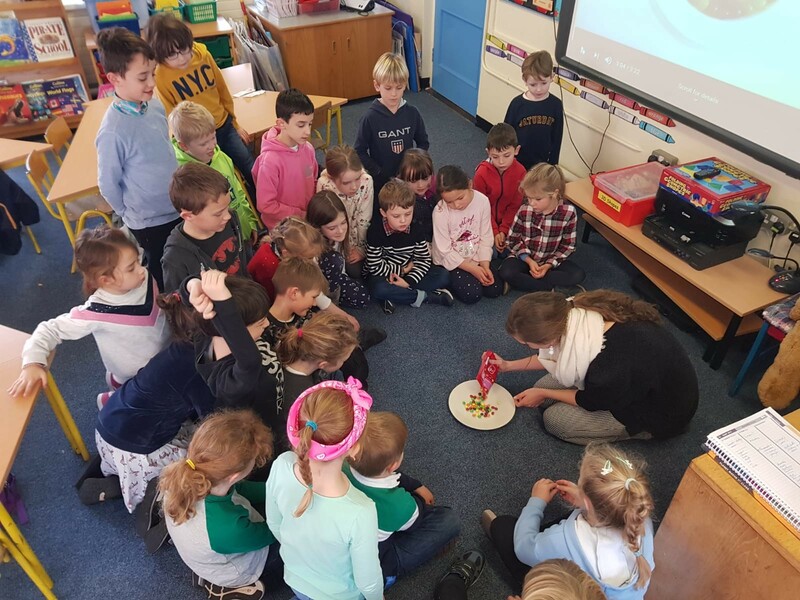 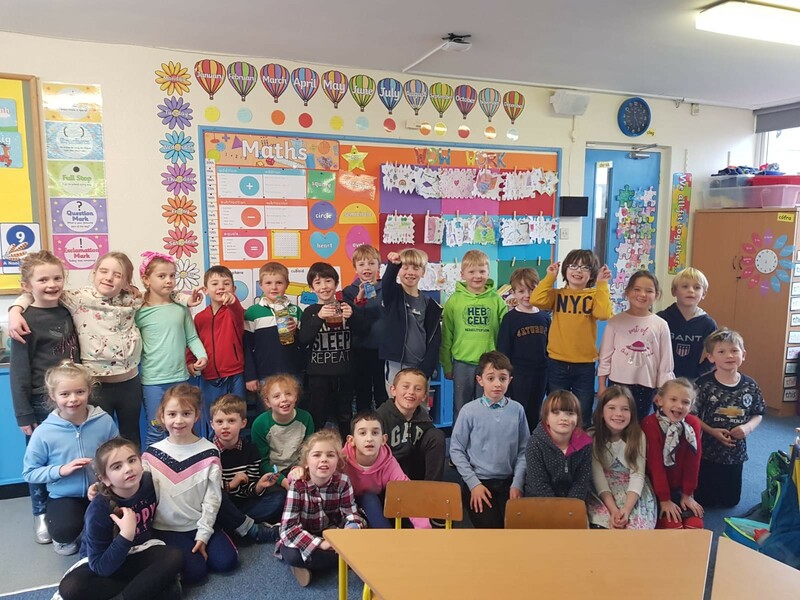 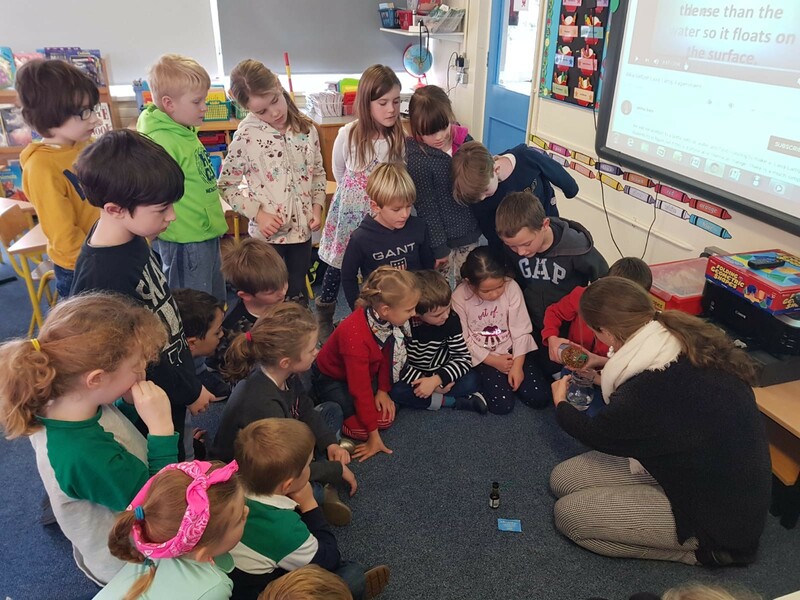 Last week in Ms. Kiersey’s first class the children carried out three science experiments. 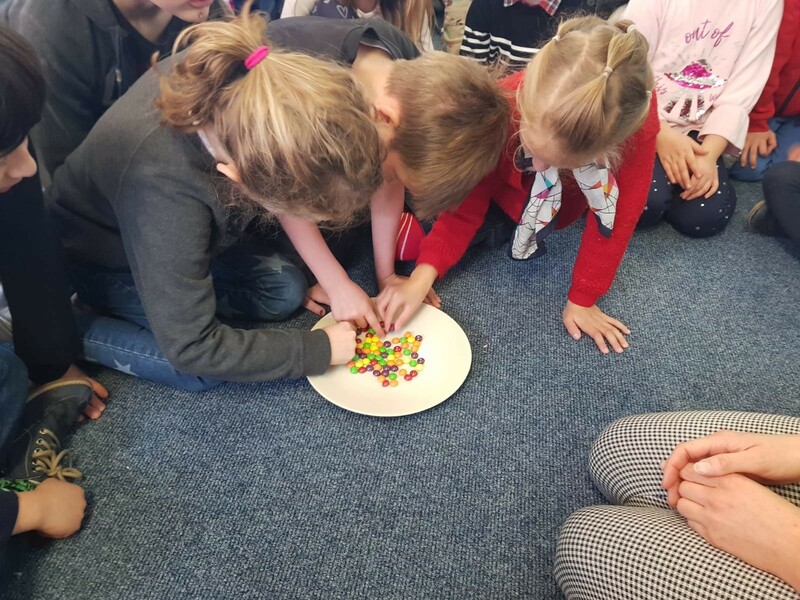 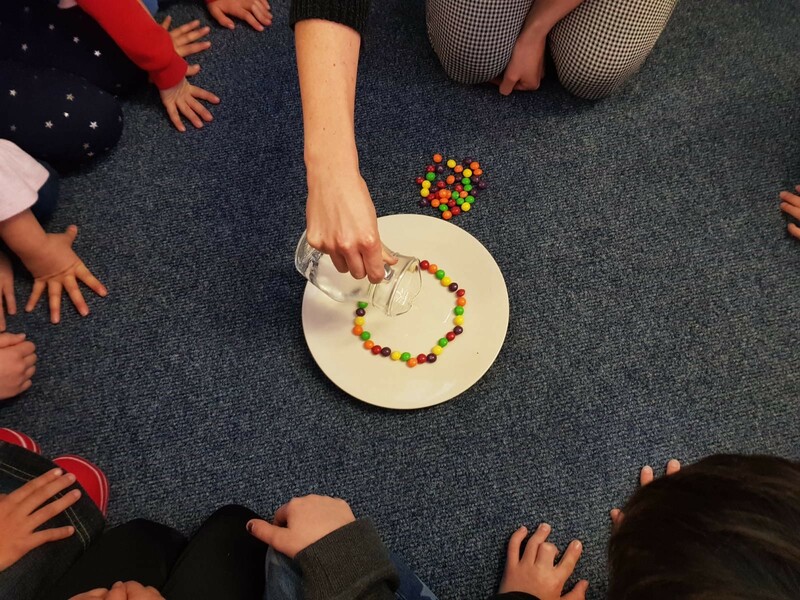 The first one involved making a rainbow from skittles and warm water. 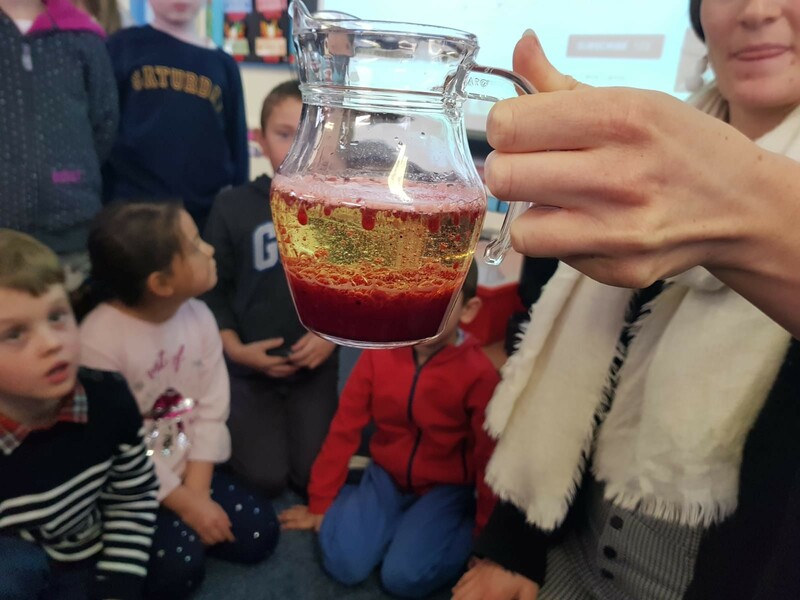 The second one was creating a lava lamp using vegetable oil and alkaseltzer. 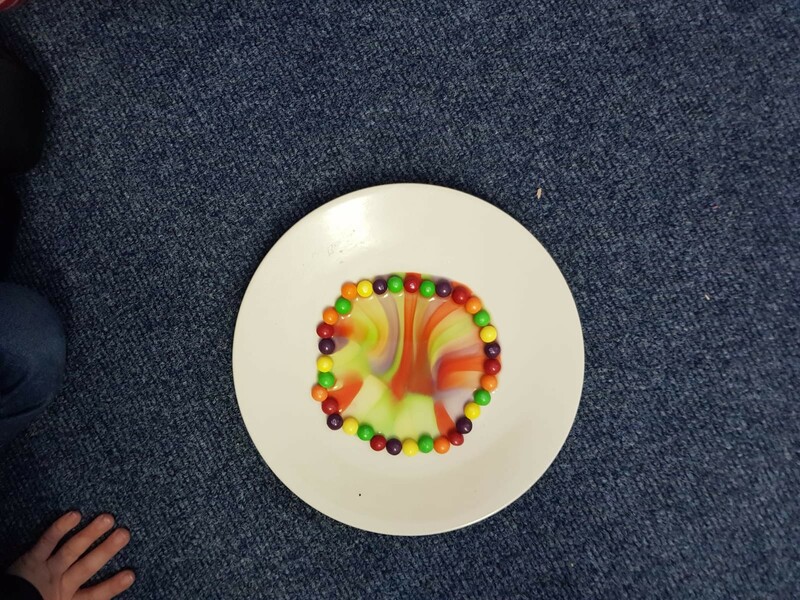 The third and final one was making a bouncy ball from an egg.